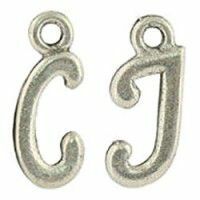 It is popular to personalize bracelets and necklaces with charms & pendants. We have a large selection of items that allow to customize with letters, favorite colors, or objects that symbolize a sentiment, or personality. Use just one or use several in your creations. They pair perfectly with virtually any beading selection.